July 25, 207 -Springfield- Hampden District Attorney Anthony D. Gulluni today announced the guilty plea and the sentencing of 18-20 years in state prison of Wilmer Torres, 36, of Springfield, for his role in the 2015 Armed Assault and Battery of a person over sixty at Chief’s Lounge in Chicopee. In the early morning hours of July 28, 2015 Wilmer Torres was confronted by the owner of Chief’s Lounge in Chicopee while in the process of stealing different items in the bar. Wilmer along with an accomplice, later identified as Jose Villegas-Rodriguez, inflicted a severe beating on the victim with metal pipes. 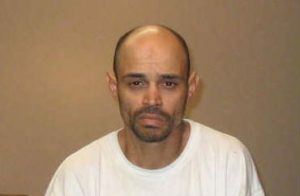 Torres has been sentenced to 18-20 years following a plea in Hampden Superior Court in regards to this case and two other open cases. Chief Trial Counsel, Eduardo Velazquez represented the Commonwealth in this matter.